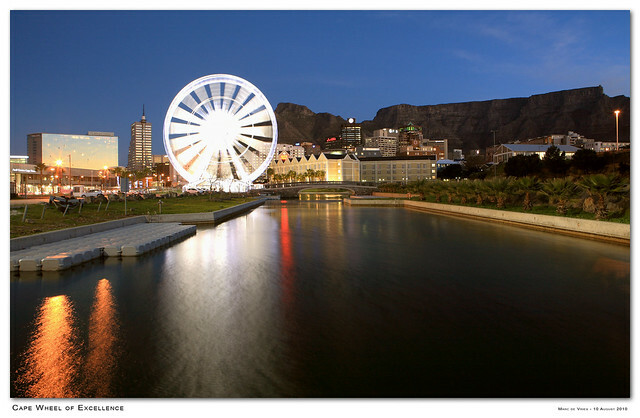 EWN reports the that popularity of The Wheel of Excellence has prompted the V&A Waterfront owners to conduct a land study to enable the tourist attraction to become a permanent feature in Cape Town. The Victoria & Alfred Waterfront in Cape Town on Friday said it was hoping to have the ‘Wheel of Excellence’ stay in the city for good. The Ferris wheel arrived before the soccer World Cup and was originally supposed to leave the site at end of February. A land study will now be conducted to determine whether the wheel will be allowed to make Cape Town its home. V&A Waterfront’s Annemie Liebenberg said the stay has been extended until the end of May, when the study is complete. Liebenberg said they expect a busy weekend ahead.